As one of the leading Sydney website design companies, we have designed websites for all sorts of businesses. Here are some examples of some of our most-loved projects to date. Dr Jonathon Ball is the Head of the Department of Neurosurgery at Royal North Shore Hospital in Sydney. The focus for this website design was on encouraging trust with the user, it was important to our client to initiate trust as his professional career requires his patients to hold him to the highest standards of care. The calls to action encourage users to enquire or get in touch to book a consultation with Dr. Ball, branding him as the talented and experienced professional that he is. We used “read more” links above the fold, and a menu across the top of the design to ensure that the user could find all the information they need in just a few clicks. NSW Parliamentary Catering company has more than eight spaces available for corporate bookings in Sydney and surrounds, with function spaces to suit all needs, from contemporary to historical. This website development project focused on a huge scrolling set of hero images, inviting the user to see the amazing spaces and images of the catering at first glance of the website, with clickable links overlaid to encourage action from the user. There are links to PDF versions of additional information on catering and events to ensure on the website that the user has sufficient information to contact NSW Parliamentary Catering for a booking at their premises. 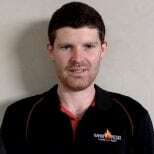 SAAS Fire Protection is a fire risk assessment and implementation service in Sydney. They can help you feel safe and secure in your fire plan and help you to avoid any risk that may be prevalent on your property or business. Using the colours from the brands logo was imperative in this website design to maintain consistency and familiarity with clients. An enquiry form is present on each page to encourage the user to submit a contact form to the business. We maintained a personal aspect to the business by adding a section of text directly from the company director. The Sydney Self Defence Centre runs martial arts programs for a whole range of ages and skill levels. For the website development of Sydney Self Defence Centre, it was important to have landing pages for each of their classes, containing all of the necessary information about the programs and an enquiry form to get in touch about that particular class in order to gain more students. It was also a focus for the brand to include their tagline on their homepage; “building a safer inner west community” so that visitors could see upon visiting what their goals are for their business. Reconn is an award winning Sydney based construction company that was founded in 2012 by their director, Gerard Cook. In this web development project, the main goal was for the website to create a portfolio like feel with plenty of media to show off Reconn’s work in a whole range of types of constructions, from residential to commercial to civil, showing their diversity and ability to create all types of structures. We used bold orange and blue hues to match the brands logo and ensured that the business location was available on every page in the footer to encourage locals to visit.